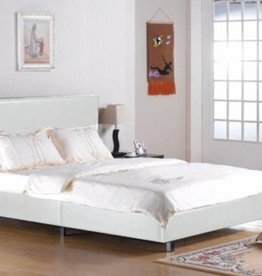 Leather bed frames in various styles, colours and sizes. Available in all different sizes. Haydn ottoman TV bed - brown. TV will be stored within the frame to raise at a touch of a button. Contemporary dark brown faux leather headboard & low foot end with attractive contrast saddle stitching.